A unidirectional UHP tyre that provides new tyre performance in wet and dry even after the tyre is more than half worn. It delivers world class technology by combining grip, handling, comfort, exceptional wear and eye appealing characteristics. High dispersion silica expands compound performance envelope for superior wet grip and better treadwear. Race proven carcass design with jointless cap plies, wide steel belts, ESCOT carcass profile and high durometer apex delivers razor sharp response and extreme grip without compromising ride quality. Three-dimensional lateral grooves optimize water evacuation in footprint. Triple tread radius optimizes footprint shape for even pressure distribution. Shoulder blocks tilted into direction of travel to improve grip and reduce worn noise. Rim Protector in the lower sidewall safeguards wheel against scratches and abrasions. High performance, driven by race-derived technology. 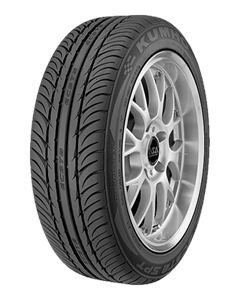 The ECSTA SPT KU31 tyre is for the driver who wants a fine balance between comfort, high performance and safety. It is also available in XRP run-flat fitment in some sizes. Delivers excellent wet and dry traction in normal or high-speed driving conditions. Provides excellent water drainage and resistance to aquaplaning. Smooth ride and precise, responsive handling. Sorry, we currently do not have any tyres with the Ecsta KU31 pattern in stock.